In 1669, Margaret Hughes was credited as the first actress on the English stage. In 1895, the first gay couple was portrayed in the film "The Dickson Experimental Sound Film." In 1927, actor Lincoln Perry became Hollywood's first black movie star. In 1948, the melodrama "Johnny Belinda" depicted a woman with a disability as the main character and was the first film to bring sign language to moviegoers. But still, last year, female protagonists made up about a quarter of the heroes portrayed in the top 100 grossing films. Although reconciled this year, last year no black people were nominated in the Academy Awards. Four percent of characters on primetime television were identified as gay, lesbian, or bisexual in 2015 and only 2.4 percent of speaking or named characters in film were shown to have a disability. I understand why it's a big deal when people don't have fair representation in media. There is something to be said for seeing a character who looks like you or acts like you or understands what you're going through. I felt this when I watched the last two episodes of NBC's "This is Us" because it was the first time I have seen a character who suffers from panic attacks. "This is Us" has tackled a lot of significant issues that aren't so commonly tackled. Obesity. Adoption. Bisexuality. Addiction. And now, with Randall's character, anxiety. According to the Anxiety and Depression Association of America, a panic attack is described as the "abrupt onset of intense fear or discomfort that reaches a peak within minutes." I can't even explain the feeling of seeing a character who, like me, suffers from them. Seeing Randall in his bedroom crying or sitting in a corner, in the fetal position, I thought, "That's me." The episodes showed how truly debilitating an anxiety attack can be. 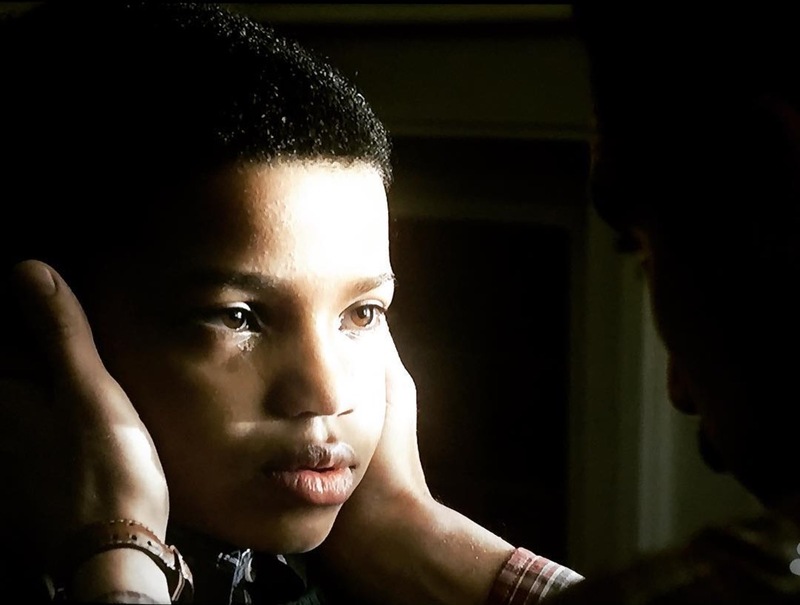 In Tuesday's episode, Randall talked about how his adopted father, Jack, kept his anxiety in check. "Whenever I'd get too in my head, he'd take his hands and put them on both sides of my head and he'd just say, 'There you go, breathe with me.' And we'd just sit there, breathing together until it passed." He said, "It's always been like that. Putting the pressure on myself ever since I was a little boy." I, too, have had panic attacks since I was little. When I had them, my mom would sit on my bed and rub my back until it passed and pray for the "bad thoughts" to go away. The panic attacks would happen when I was about to go on stage for a dance recital. It would happen when I was studying for a big test. It would happen after I came home from school after being bullied. It would happen when I tried to fall asleep, And, now, it'll happen after a stressful day at work, after I stretch myself too thin or for no reason at all. I have to say there was something magical about seeing a television character who went through exactly this. No stereotypes. No calling him crazy. Just a man who, when things get to be too much, has a breakdown every once in a while. And it's okay. I have to say, this really did make me feel not so alone. 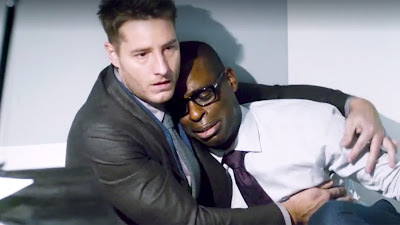 And I want to thank Dan Fogelman for creating and actor Sterling K. Brown for portraying a character who suffers from anxiety, just like I do.